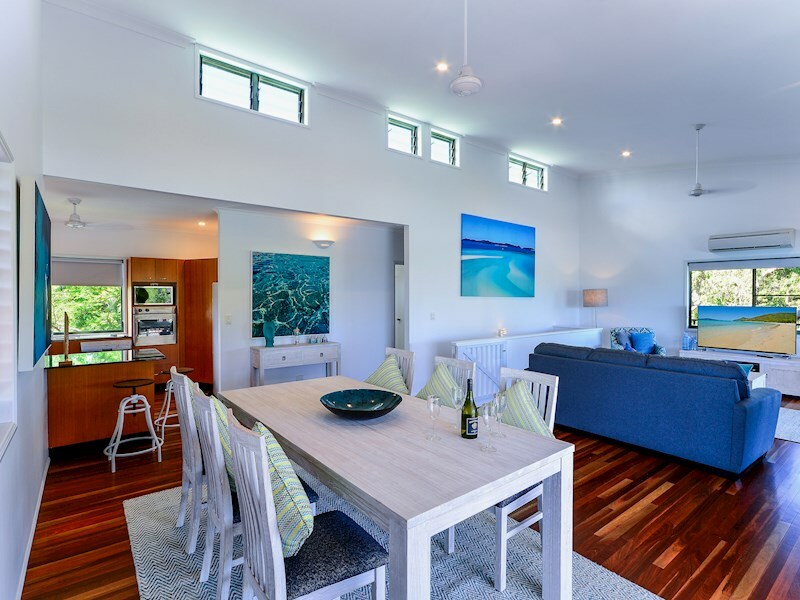 Large, modern four bedroom home with views. 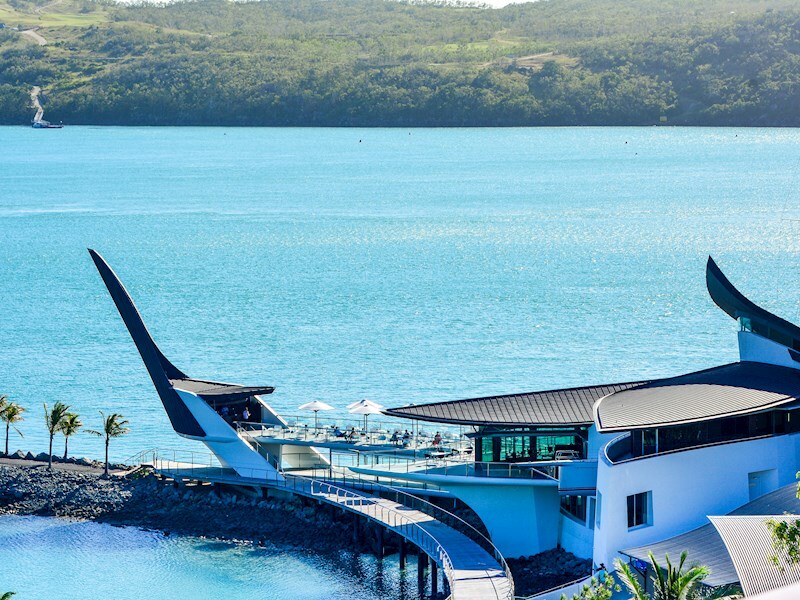 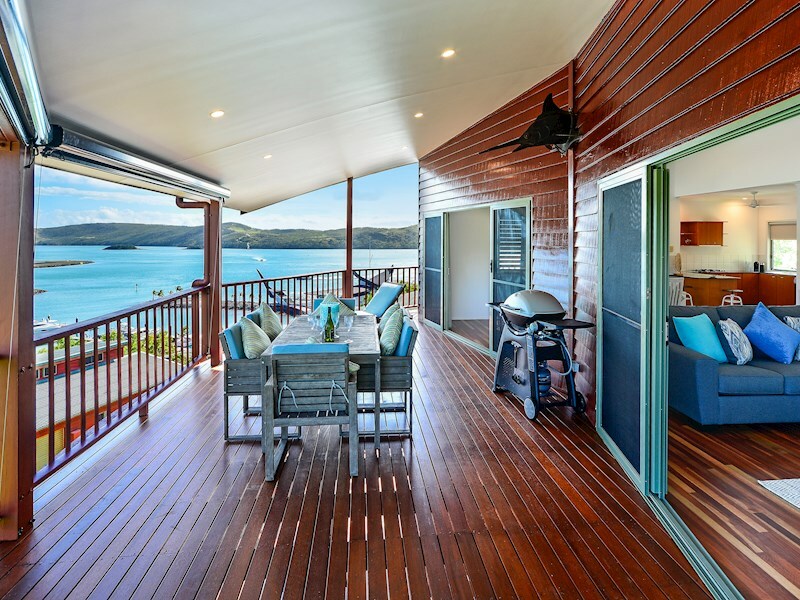 Ideally situated near the Hamilton Island Marina, this contemporary four bedroom home offers spectacular water views, modern interiors and a vast entertaining deck. 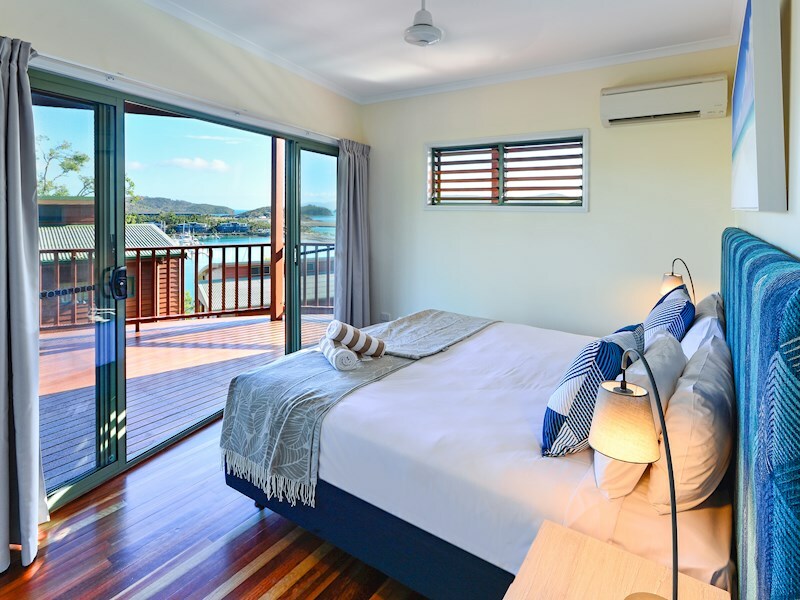 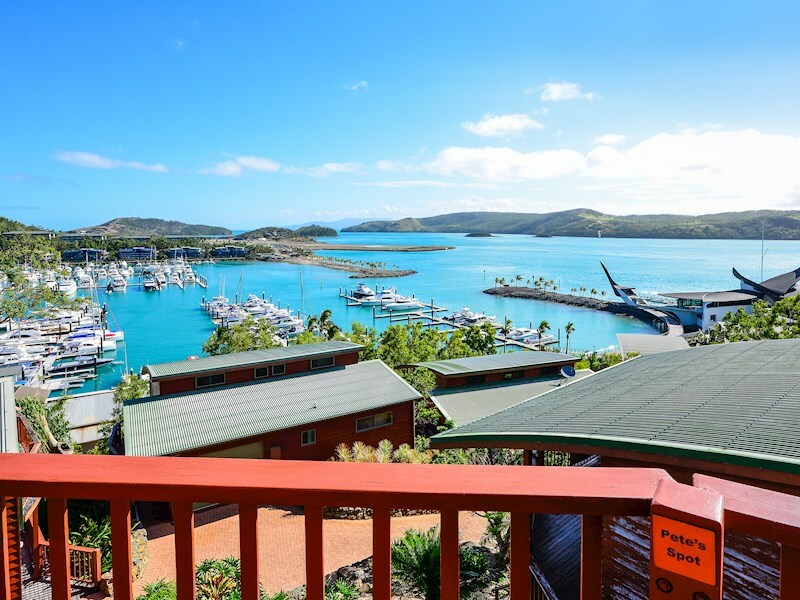 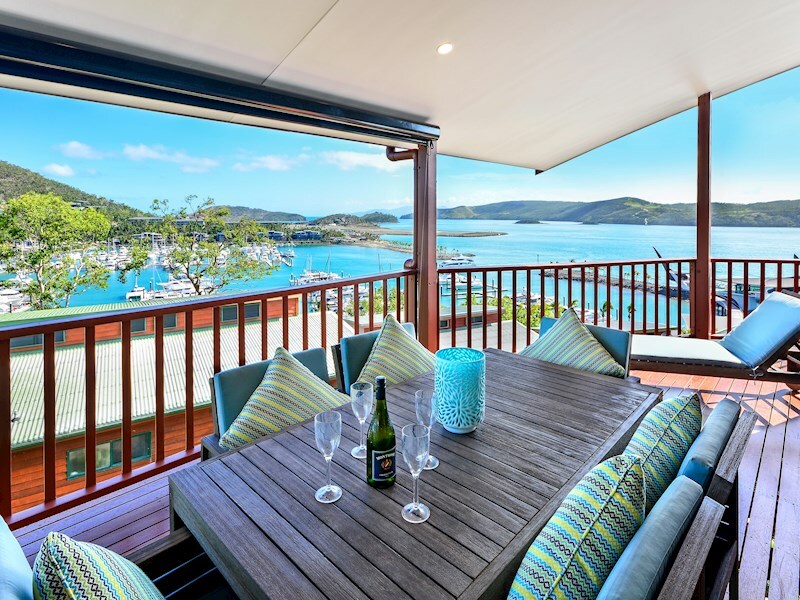 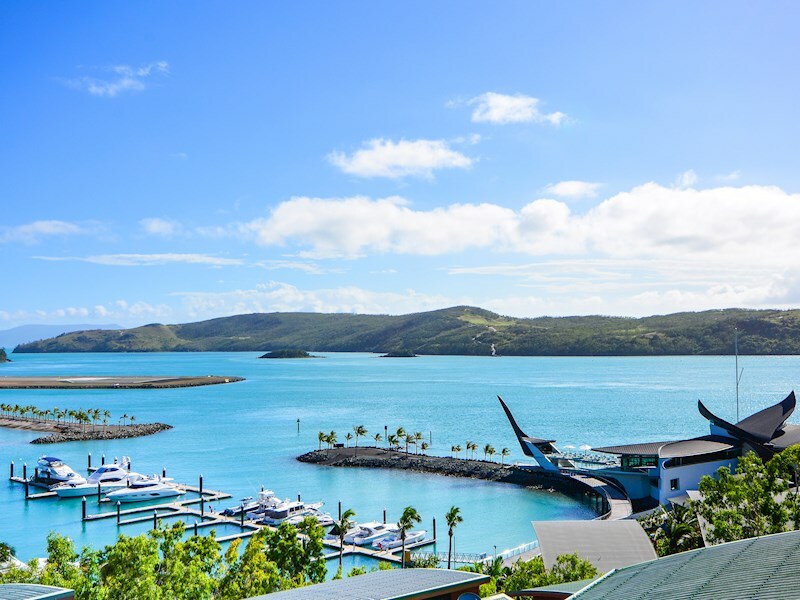 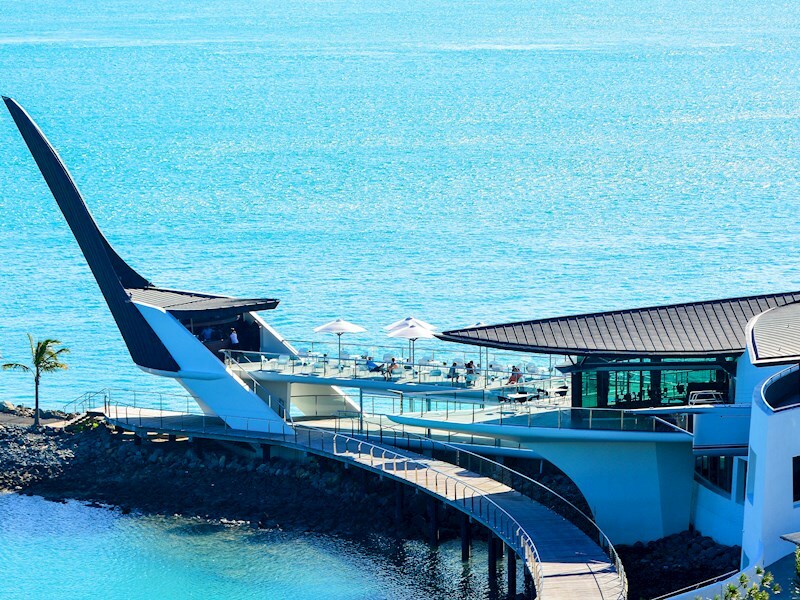 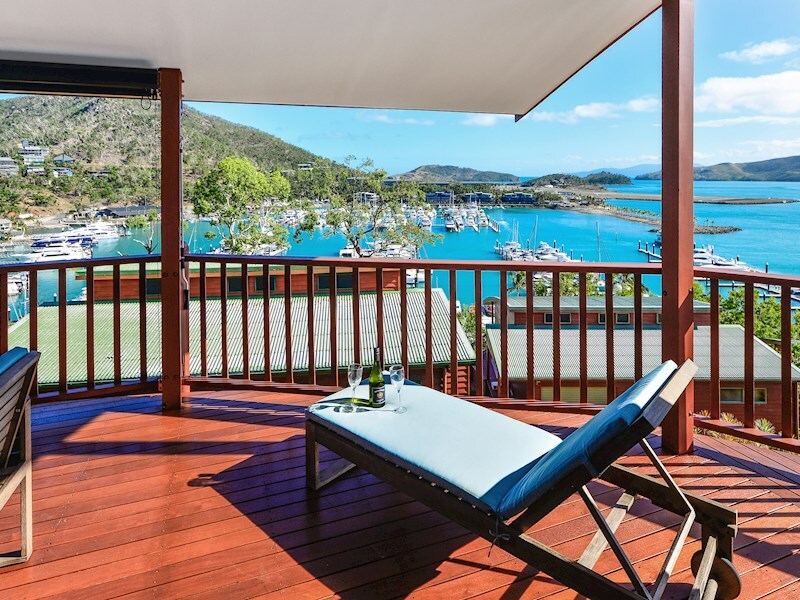 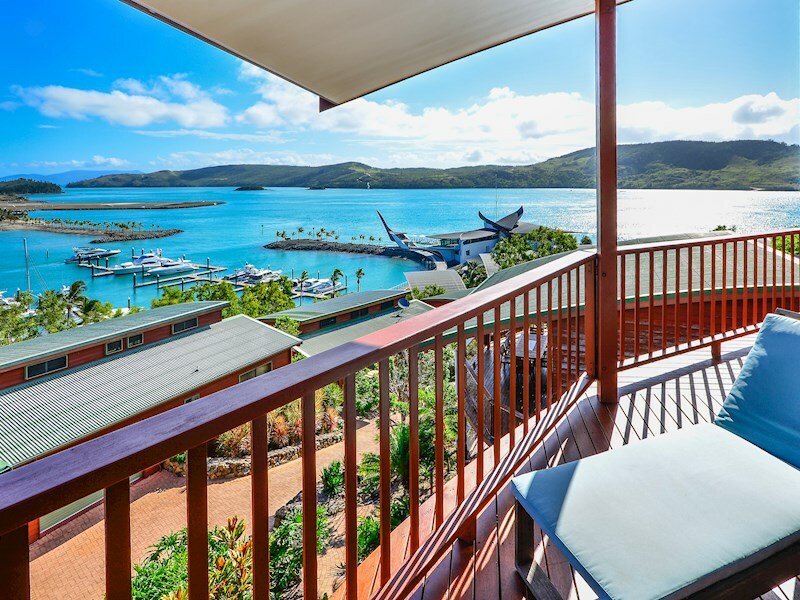 From the large deck on the upper level, you can enjoy sweeping views of the turquoise waters surrounding the Hamilton Island Marina, as well as the Whitsunday passage. 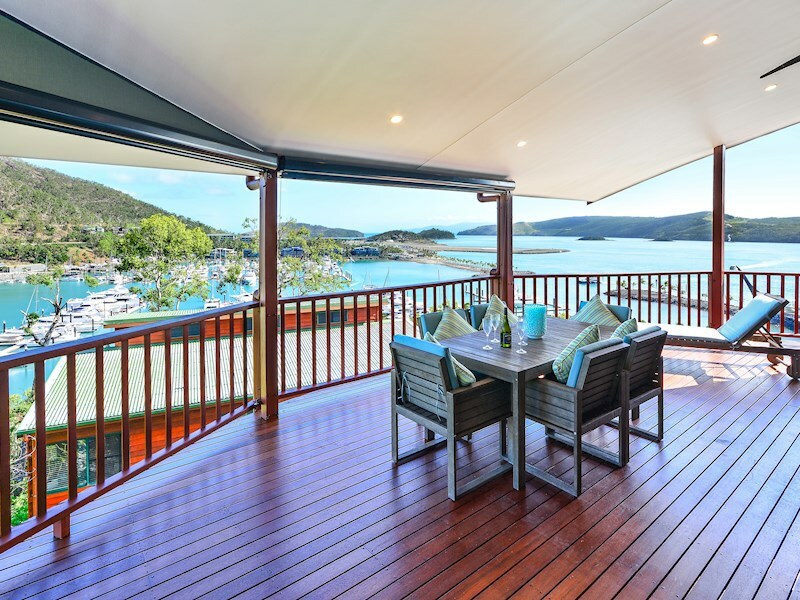 The lower deck also offers partial water views, and a lovely garden outlook. 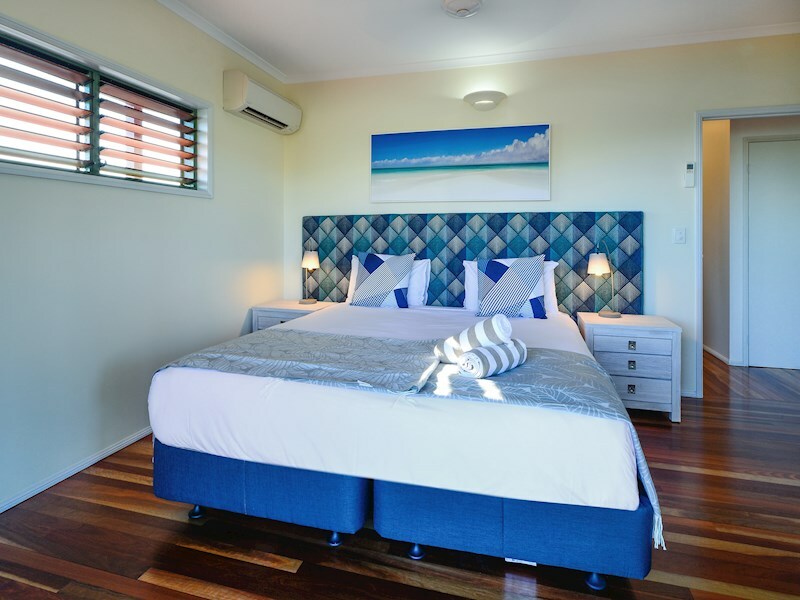 With its convenient location, you're just a short walk or buggy ride to all of the shops, restaurants, bars and activities on Front Street. 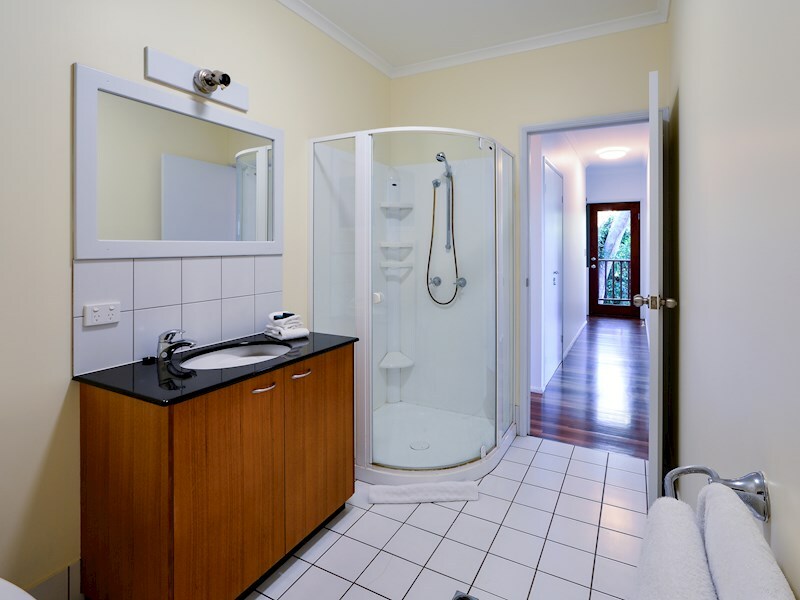 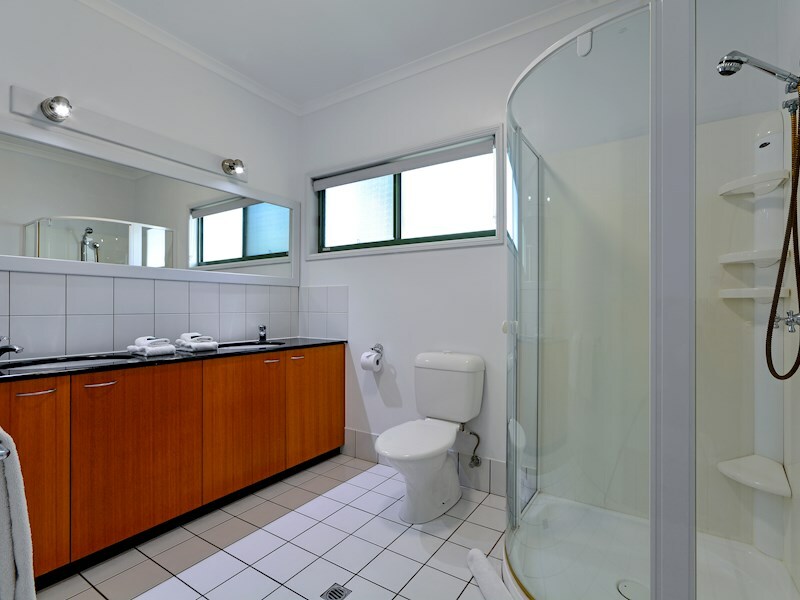 This spacious home includes two bathrooms and four bedrooms. 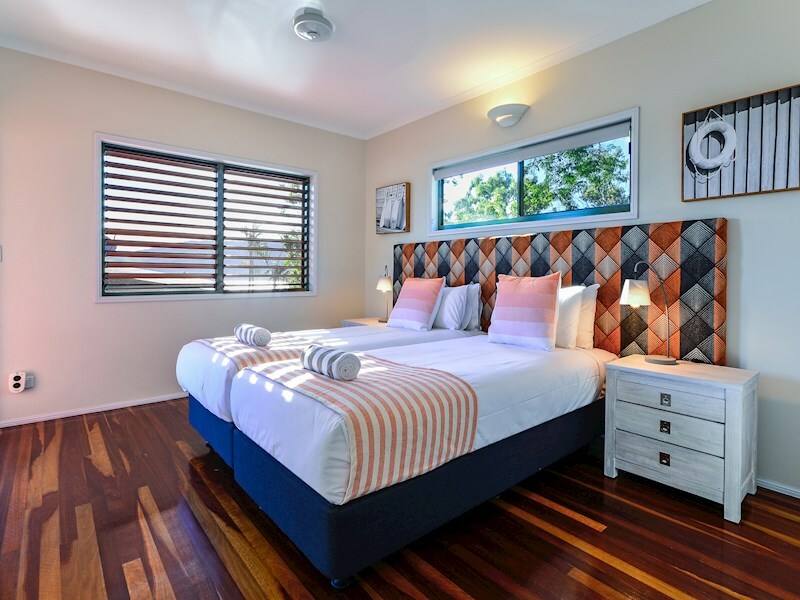 There are split king beds in three of the bedrooms, and the master bedroom features a queen size bed. 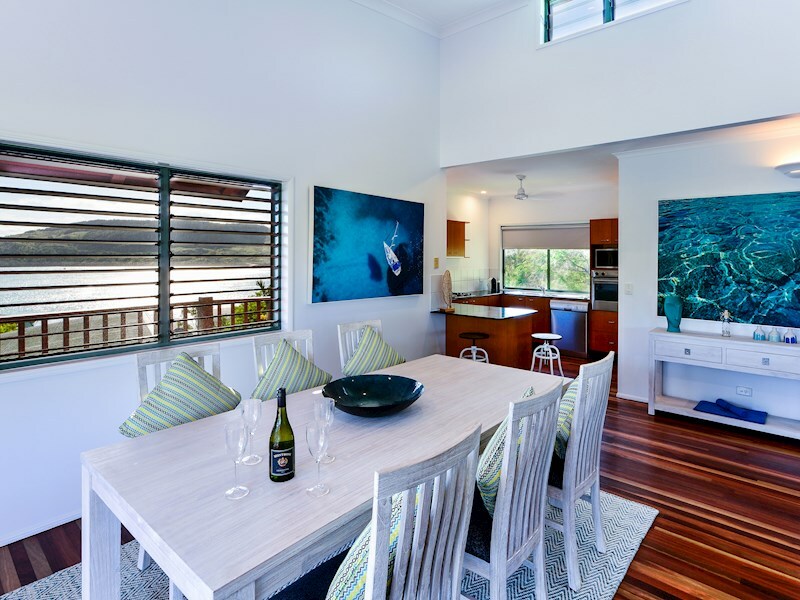 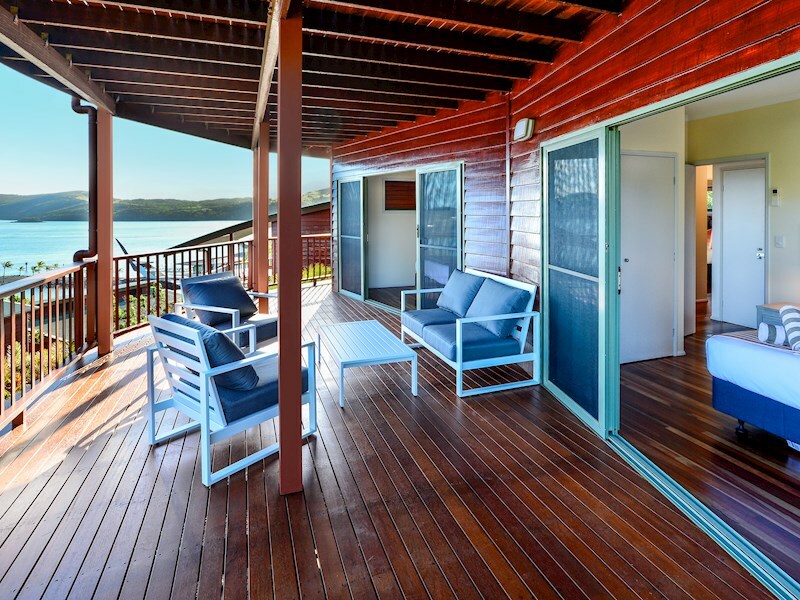 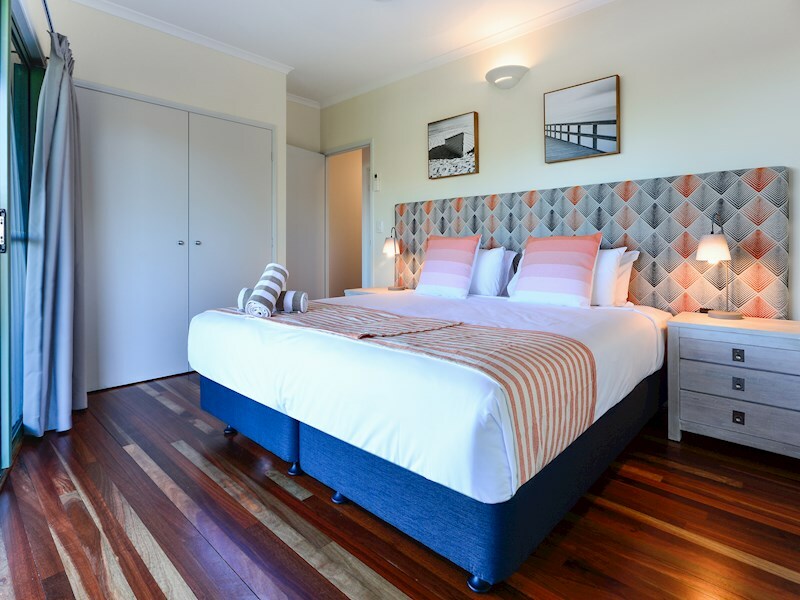 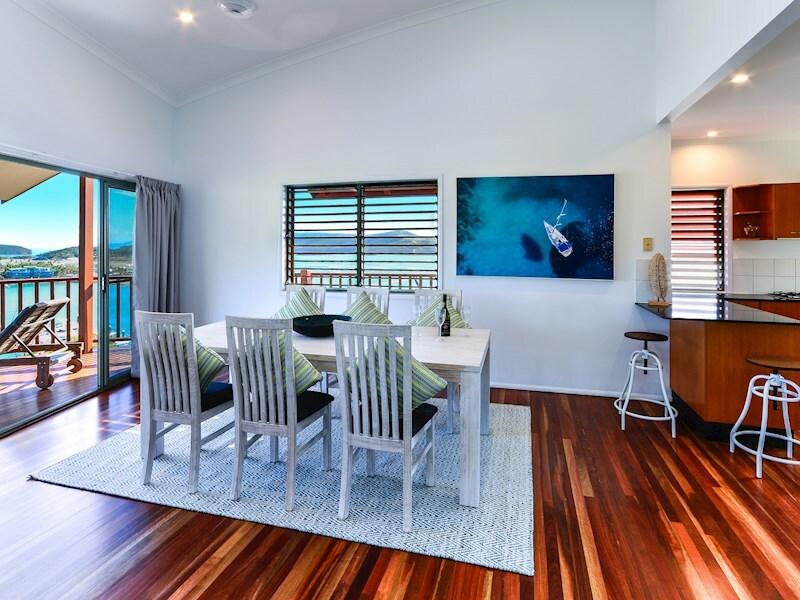 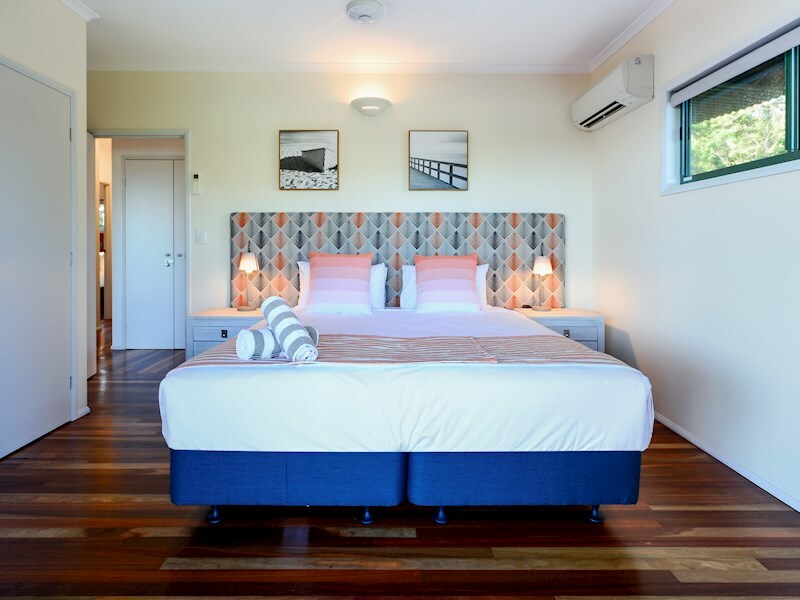 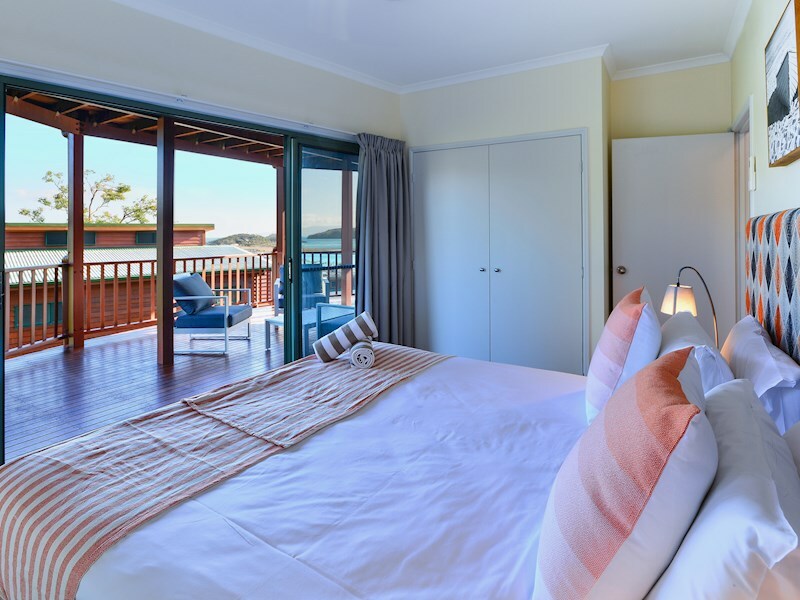 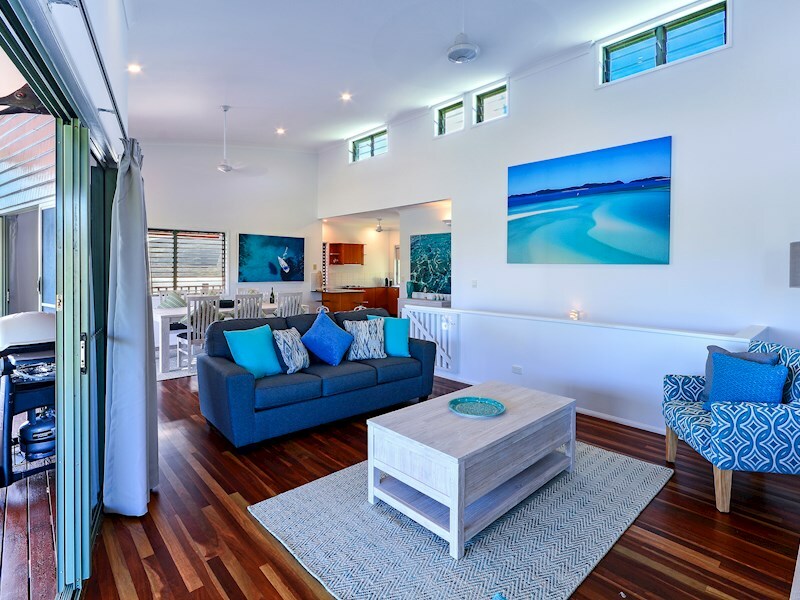 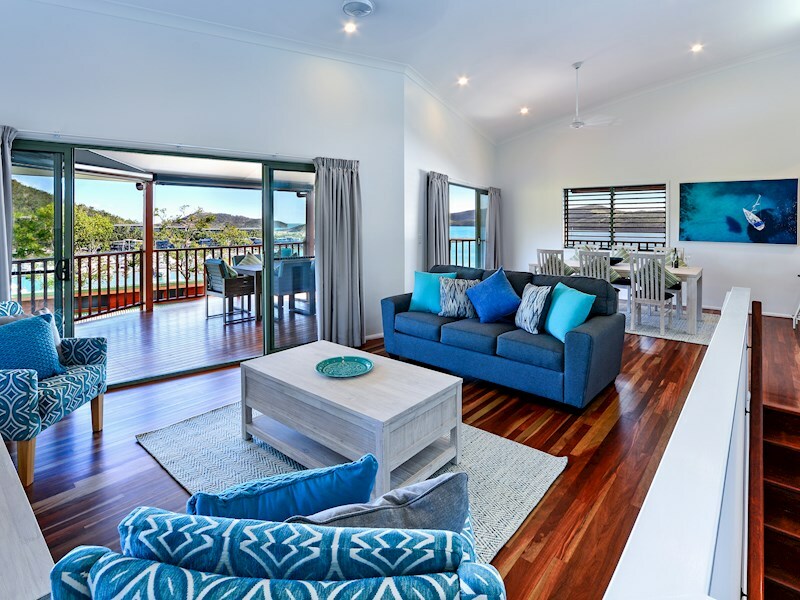 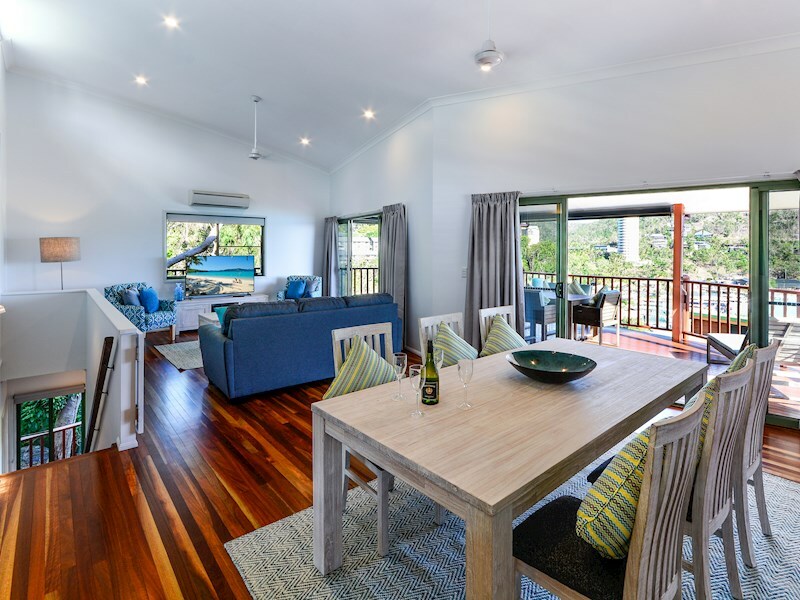 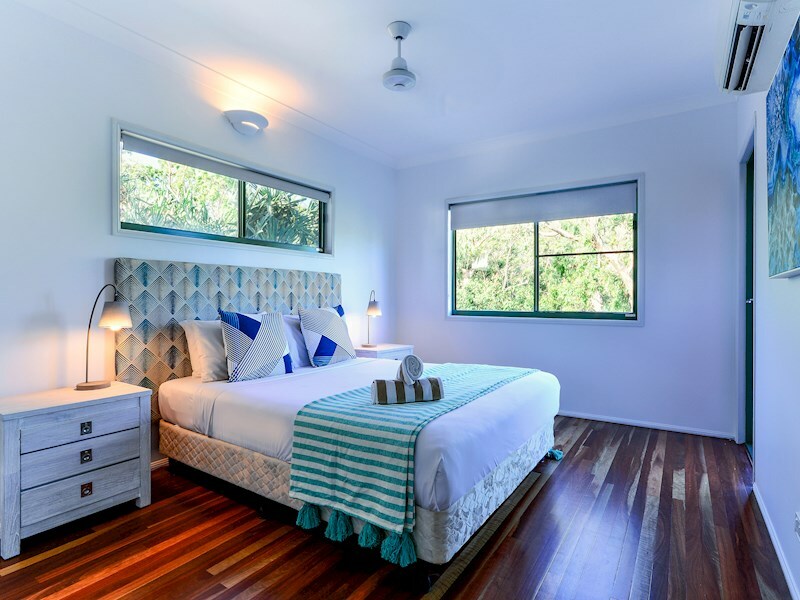 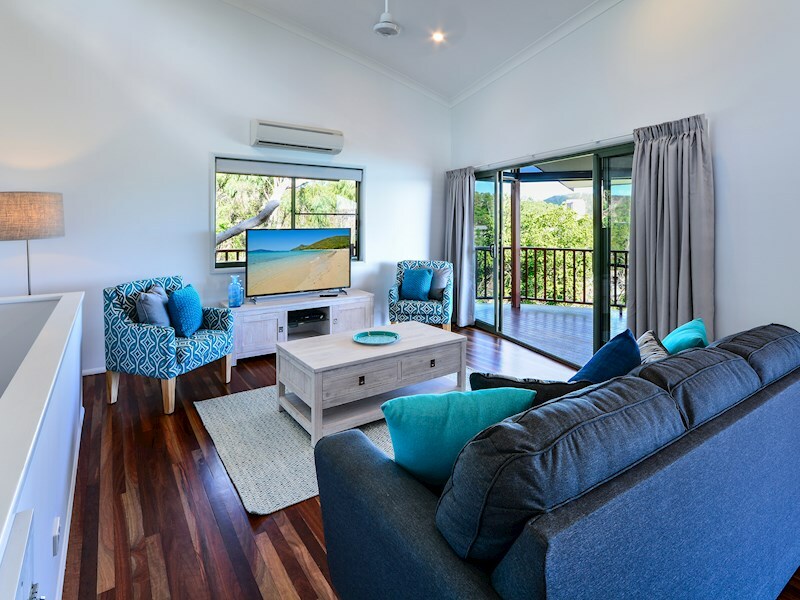 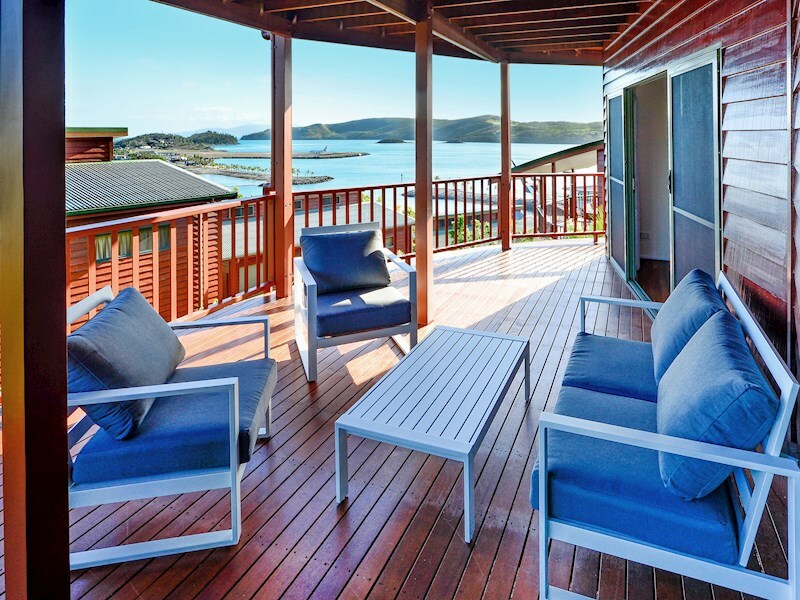 Casuarina Cove recently underwent an internal refurbishment, and features an open-plan design with polished timber floor boards and ceiling fans throughout. 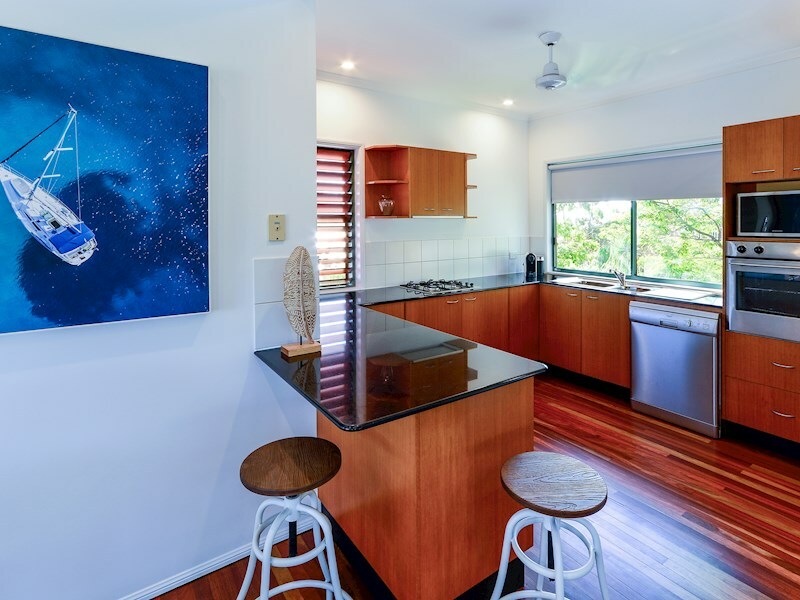 A fully-equipped, contemporary kitchen makes self-catering a breeze. 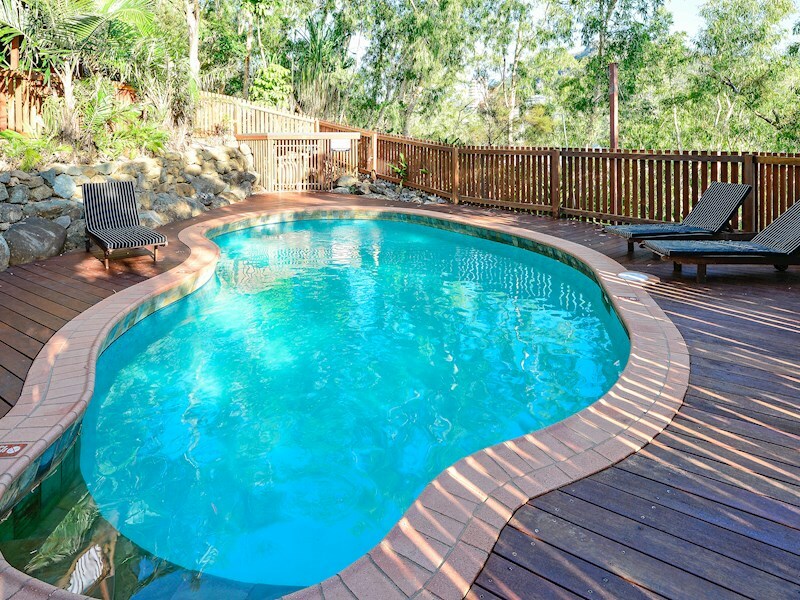 As a guest of Casuarina Cove, you have access to the complex's shared pool.